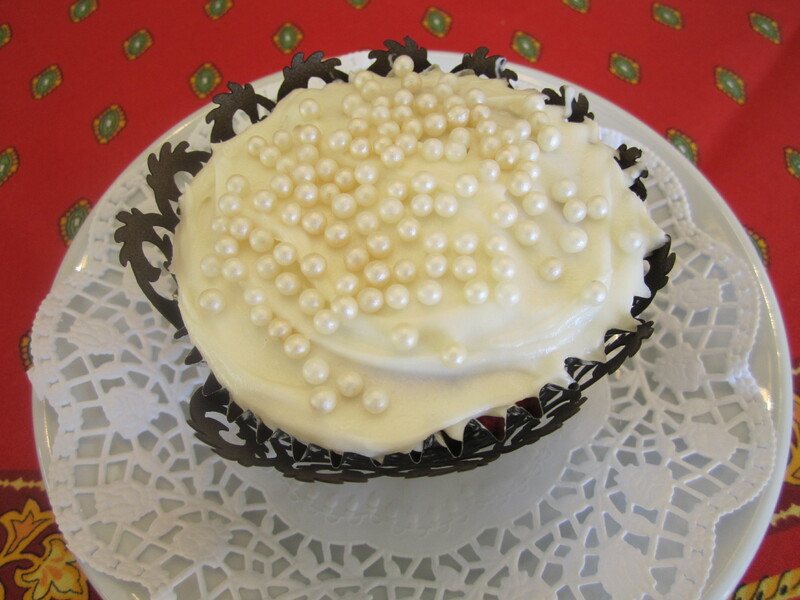 Beautiful cupcake wrappers, can add elegance to your cupcakes! 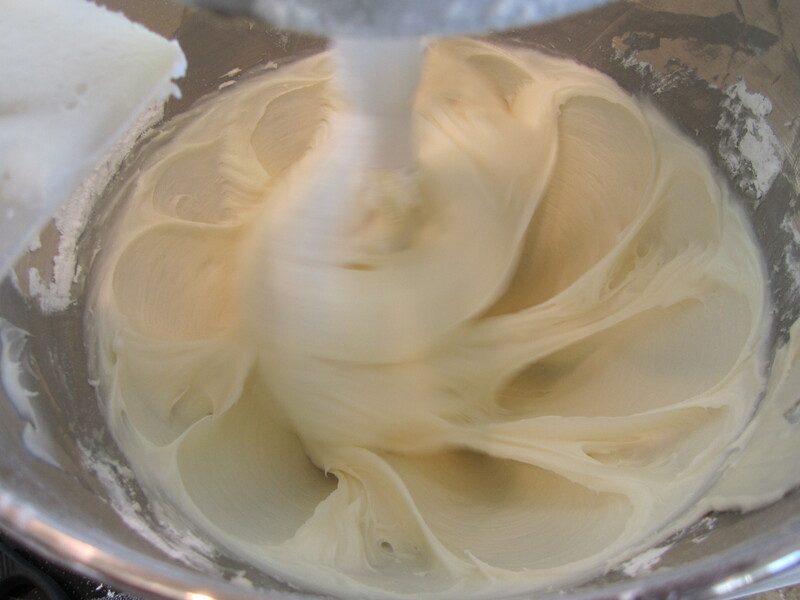 In a large mixing bowl, add cake mix, sour cream, water, eggs and vanilla. Mix with an electric mixer for one minute on low. 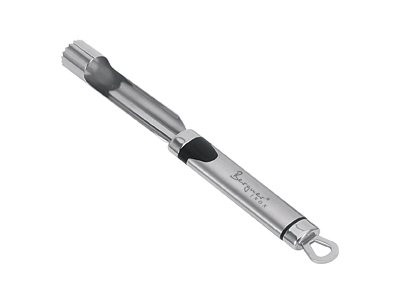 Increase speed to medium and beat 2 minutes more, scrape down the sides occasionally. Place batter into cupcake holders, approximately 3/4 full. 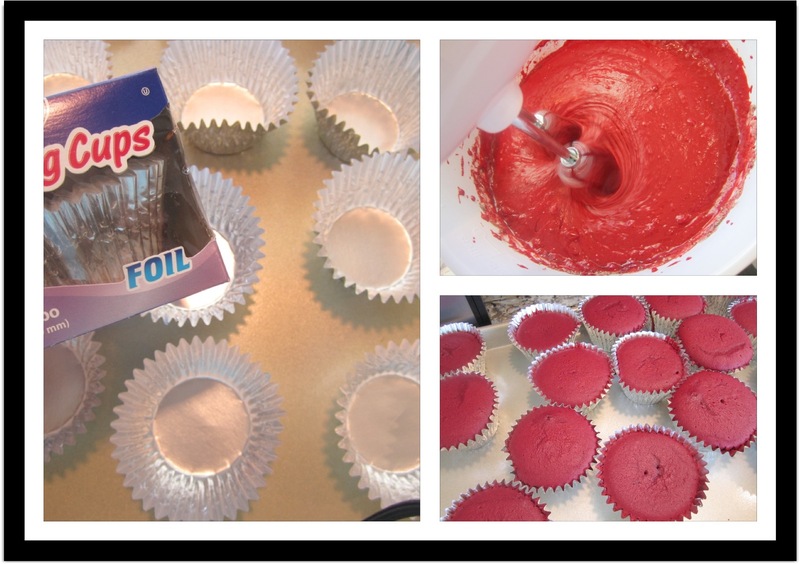 Bake in oven for 17-22 minutes or until toothpick inserted into the middle of the cupcake comes out clean. (The timing depends on the size of your cupcakes). Let cupcakes cool completely. 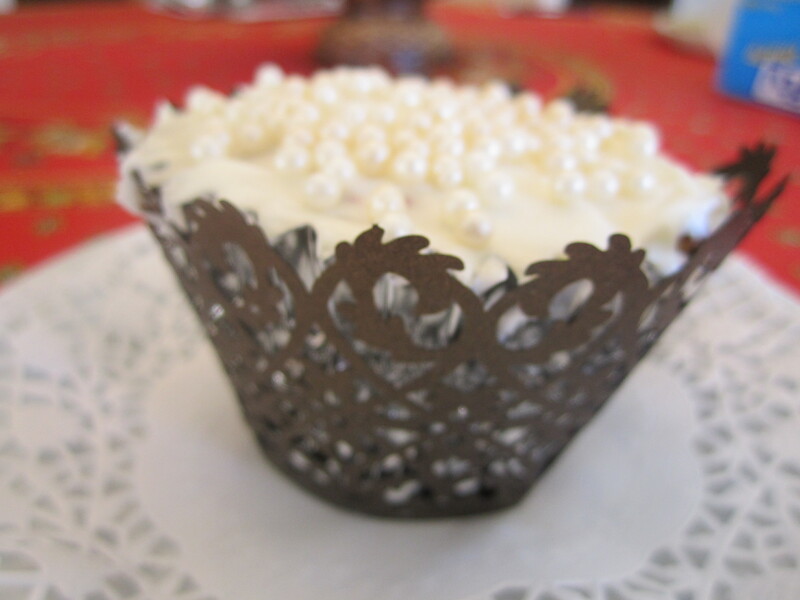 Use an apple corer (or grapefruit spoon) and make a hole in the middle of the cupcake. Drain the cherry pie filling. Fill the center of the cupcake with about 4 cherries (depending on the size of the cupcake). Place several chopped pecans on top of the cherries. Top with cream cheese frosting. Decorate according to the season. 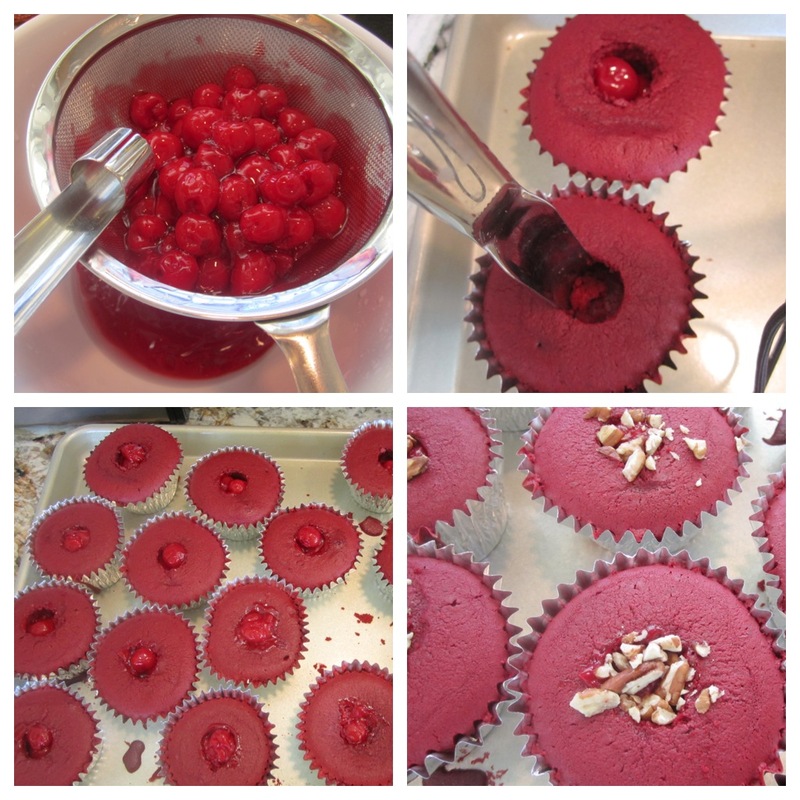 This entry was posted in Desserts and tagged cherry pie filling, cream cheese frosting, cupcakes, Desserts, Food, recipes, red velvet cakes, Red velvet cupcakes. Bookmark the permalink.